My Bohol Guide is in the Philippines bringing you all the best hotels and resorts on the island. We specialize in making your Bohol vacation a reality. No Hidden Fees or Charges. Remember that many of our competitors add up to 20% at the end of the booking process. At My Bohol Guide the price you see is the price you pay. My Bohol Guide is a content-rich hotel booking site. We offer you more than just a smooth booking process. We also bring you everything you want to know about Bohol. If you would like to get right to the hotel selection process then click the Overview link in the Beaches and Resorts side menu. This will allow you to see the differences between each area of Bohol and the hotel options you have in those areas. Click a location and start looking for that perfect accommodation. Once you find what you are looking for the booking process is as easy as 1-2-3. If you are interested in the other aspects of what makes Bohol such an amazing holiday destination then please look at the general information links on the left side menu. Want to know more? Check out the activities, and scuba diving sections also located on the left side menu. Have questions or special requests? Please feel free to contact us through any of our easy communication methods listed Here. 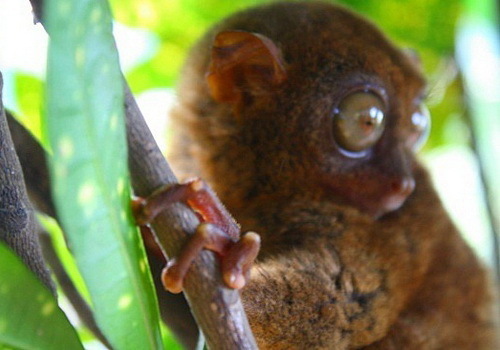 Our highly trained Bohol experts know everything there is to know about Bohol. No request is too big or too small. Contact us and let us help you make your holiday extra special. Bohol is considered a prime Philippine tourist destination, charming visitors from all over the world with its natural and cultural wonders. Among its attractions are the world-famous Chocolate Hills, the endangered Tarsiers, and the white sandy beaches of Panglao Island. Aside from its natural beauty, Bohol is home to various historical and cultural riches dating back to the Spanish colonial era, as well as a fine selection of Bohol Hotels and Resorts that work persistently to satisfy the desires of every traveler! Bohol hotels tend to be scenic and natural. Huts on the beach to excellent service oriented businesses, we’re sure you won’t be disappointed with the diversity in lodging Bohol offers. With so many choices, some find it hard to choose the Bohol hotel that really matches their style or objective. While you’re travelling around Bohol, each and every day can be packed with excitement, Eco adventures, cultural and historical touring, scuba diving and island hopping are just a few of the more popular tourist activities. With this in mind, one of the most important things to consider becomes choosing a Bohol hotel or resort location. The main Island of Bohol is the 10th largest island in the Philippines, and somewhat central to all of the activities and beaches. If you want to get a little piece of everything, choosing a Bohol Hotel here may be a good place to start. Panglao Island is generally the most popular area for travelers to stay, and has lots of marvelous places to put your bags down. It also has some of the best access to the diving in Bohol, being geographically closest to three of Bohol’s four most popular dive sites. If great diving is your objective, consider choosing a Bohol hotel or resort in this area. Alona Beach is also located on Panglao Island, and has some of the best seascapes available. Alona Beach is special because it’s got infrastructure, tourists, and great beach – yet still manages to keep it’s serenity and personality intact. It’s a pretty beach, not a party beach! Please enjoy the wealth of information that our site provides.If you have any specific questions feel free to contact one of our Bohol Hotel and Resort experts.